Twas the night before Thanksgiving, and I am giving away a Christmas FREEBIE. I know I should wait until after Thanksgiving, but I can't. Happy Thanksgiving and here's a little pre-holiday cheer. 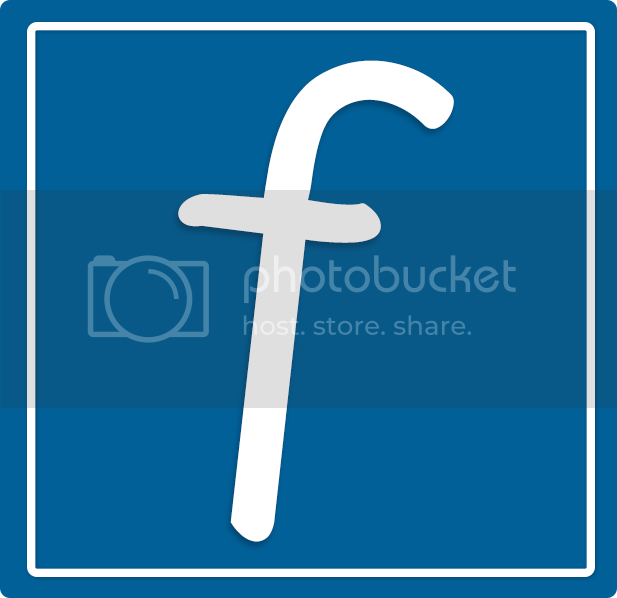 Click HERE to get your FREEBIE. 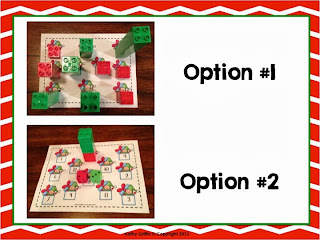 There are 4 different options included with this activity packet. 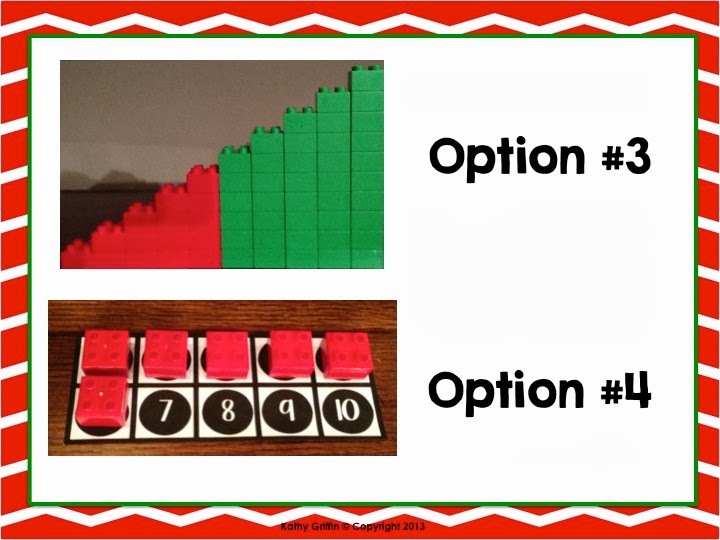 Use the option that best fits your students' needs. You can use Lego's or snap cubes. I prefer to use Lego's because they stack easily and stand securely. 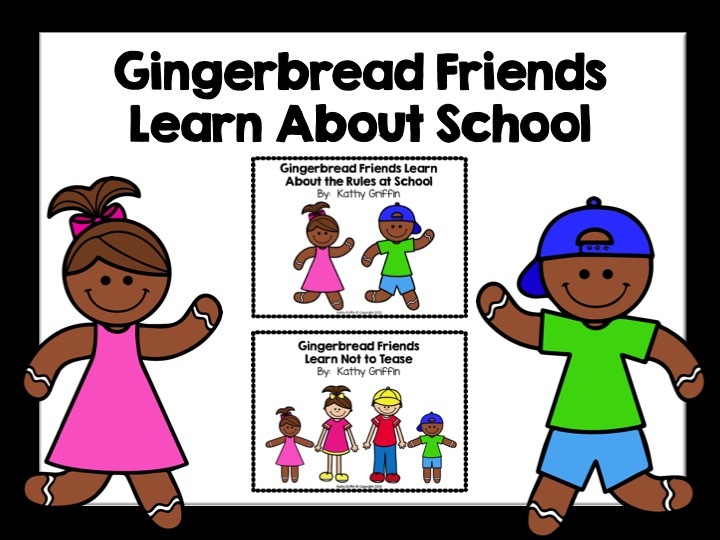 This activity packet works on number recognition, cardinality, building sets, addition, comparing sets, and ordering length. You can choose the color version or I provided a black & white option too. 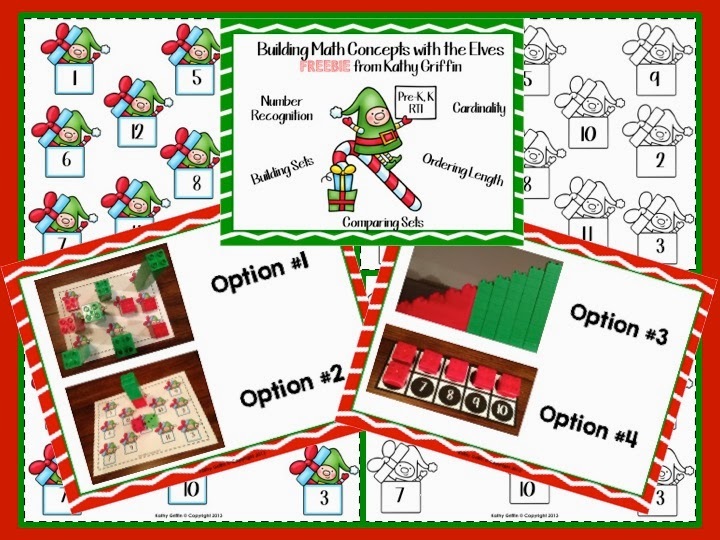 Get your "little elves" stacking presents and building math concepts after Thanksgiving break. I made this quick FREEBIE for those of you that have to work this week. Hopefully you only have a 2 day work week. The students color the turkey according to the color words. Click on the picture for the link. 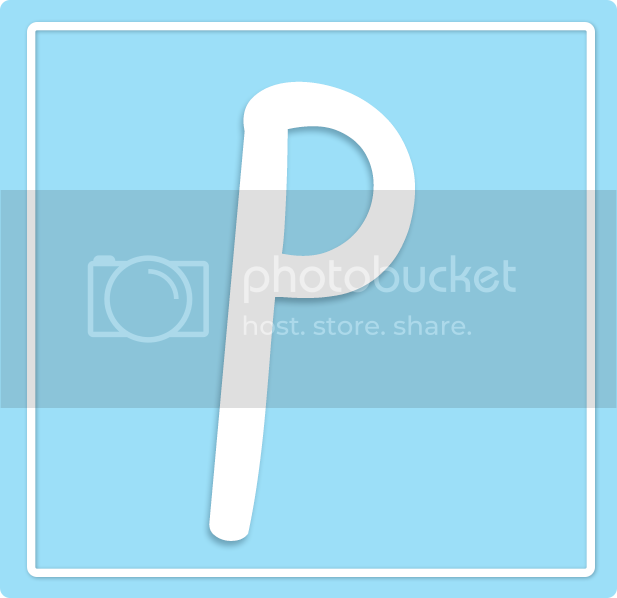 What's my blog topic today? 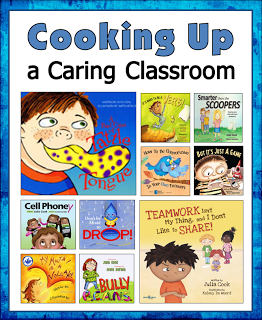 JULIA COOK books! She has to be one of my favorite authors. I thought I owned everyone of her books, but it looks like there are a couple more that I need to buy. Why do I like her books? They are REAL! They are RELEVANT! 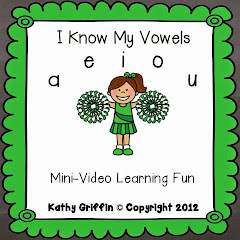 They help me TEACH social skills to my students. 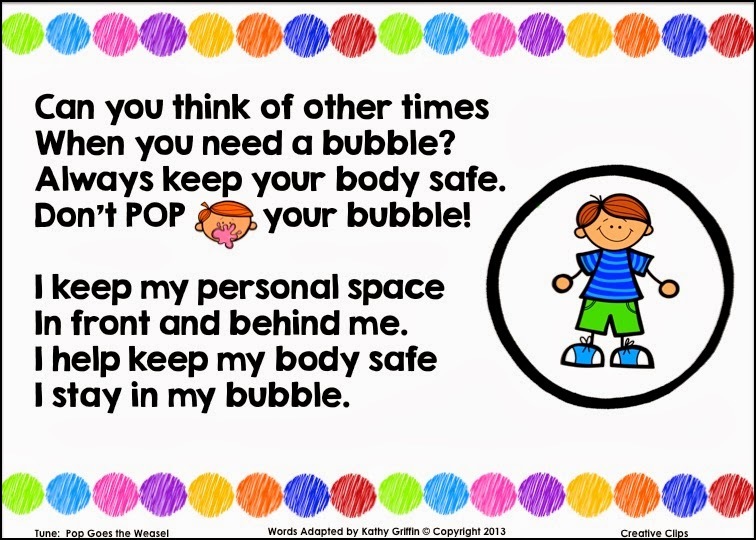 These social skills are crucial to classroom management, which also impacts academic learning. 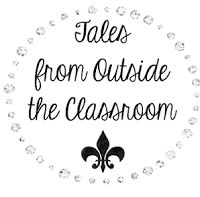 I am joining up with Laura Candler at Corkboard Connections for a blog hop about Julia's wonderful books. So which book did I choose? Personal Space Camp! 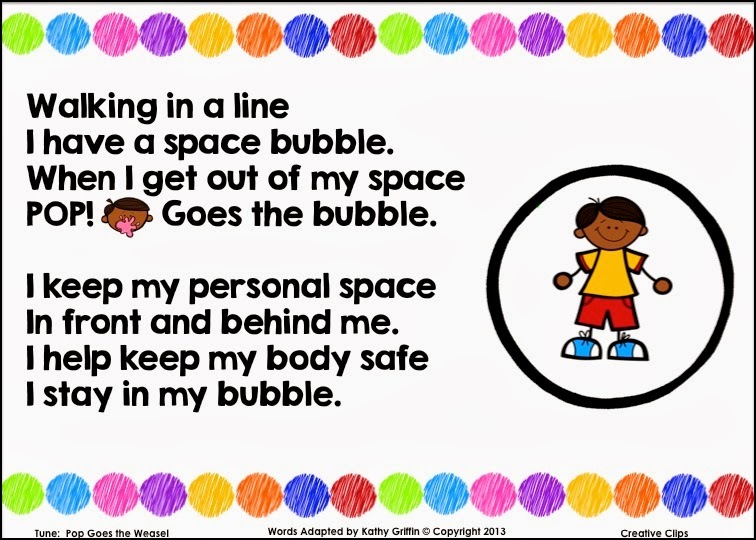 How many of you have students or your own children who need to learn about staying in their space? ME!!! Actually, most children do at one time or another. Julia takes this learning opportunity to introduce us to Louis, a space expert. He loves learning about space. 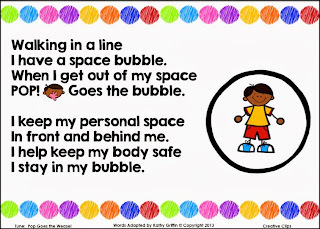 The only problem is that he has a hard time recognizing personal boundaries and staying in his own space. However, his school has a solution for situations just like this: SPACE CAMP! And Louis is so excited that he is going to space camp after his teacher refers him to it. 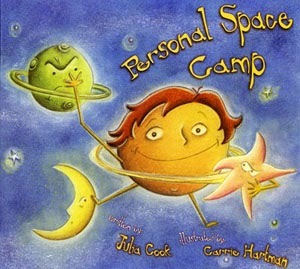 Julia takes us through Louis' journey to "Space Camp" teaching valuable lessons that all children need. 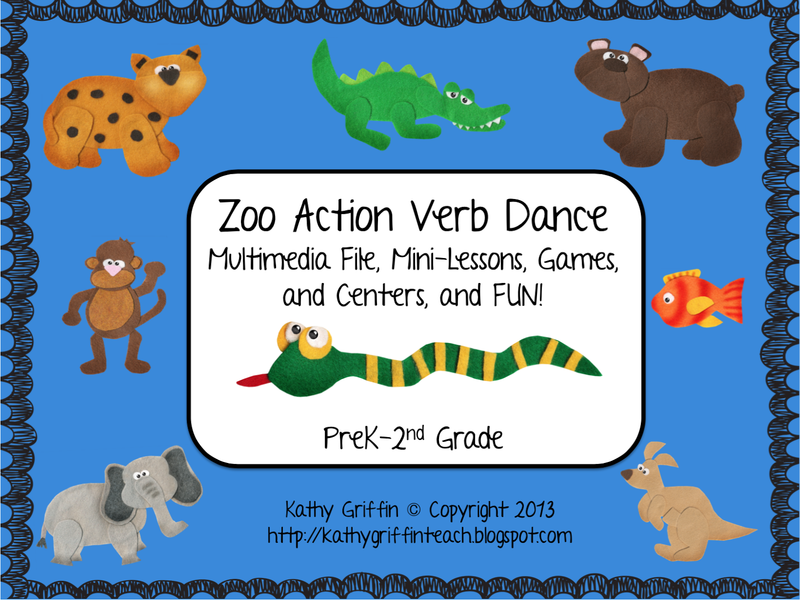 The book is humorous and thought provoking, giving specific visuals to help educators teach this valuable social skill. 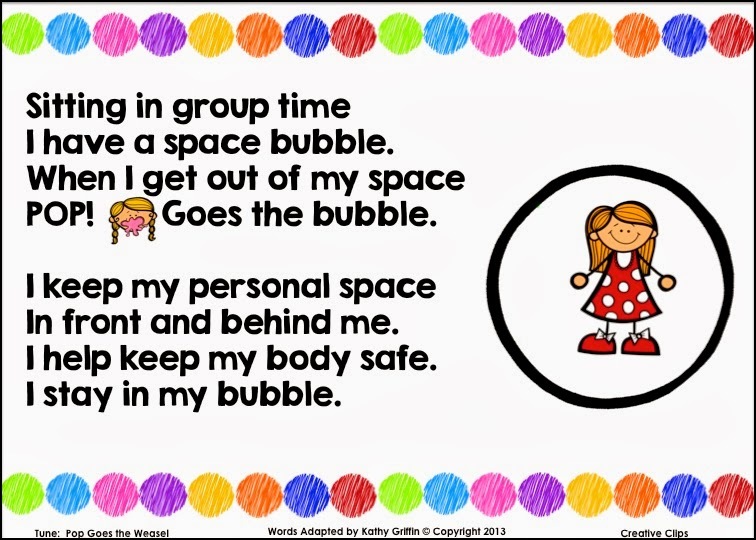 So how do I use Personal Space Camp in the classroom? We brainstorm a list of what we think the book might be about basing this on the cover illustrations and title. I read the book all the way through the first time. But it doesn't stop there. 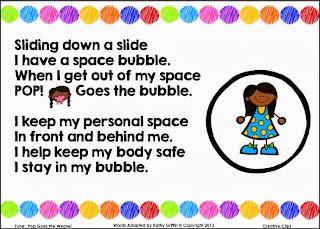 I take each lesson that Louis learns at Space Camp and do a different mini-lesson each day with my class just like Louis does. 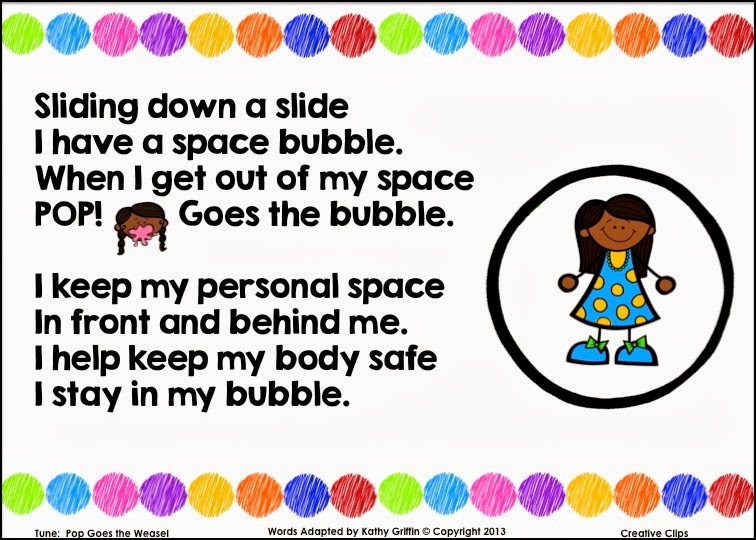 Personal Space Camp sets the stage for these mini-lessons. Brilliant! We build an anchor chart to help us become more aware of what our personal space "looks like," "sounds like," and "feels like." 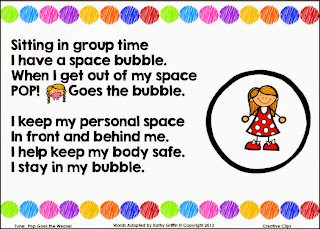 I've always taught my students about the space bubble that is around them. 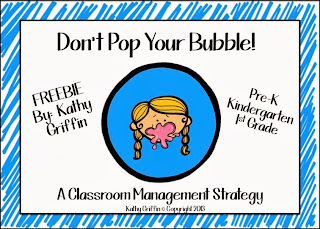 This book helps support that topic of a "space bubble." 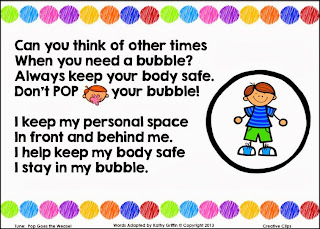 I wrote two songs to reinforce this concept for young students. 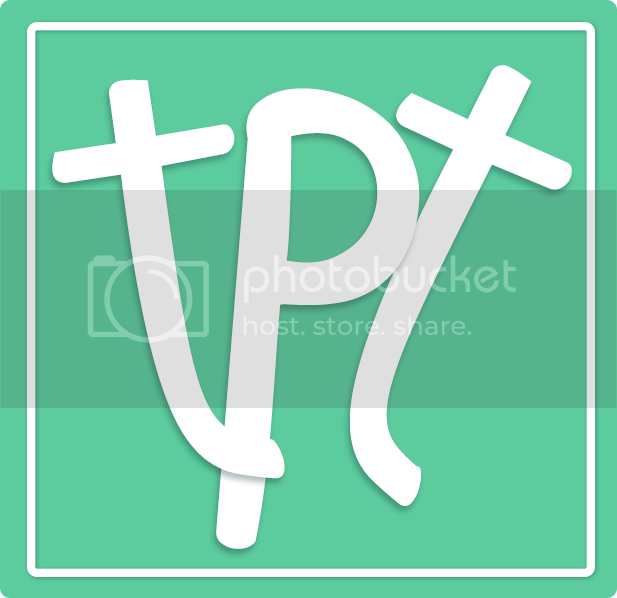 You can grab this FREEBIE HERE. This one is to the tune, "POP Goes the Weasel." 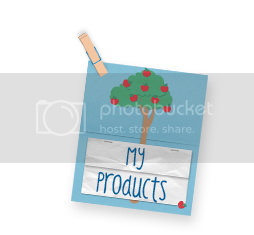 This adorable clipart is by Krista Wallden at Creative Clips. 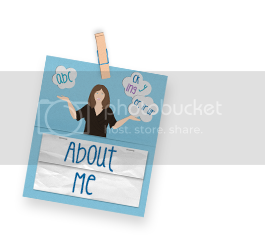 The cute fonts are by Kimberly Geswein from KG Fonts. Julia Cook is a former school counselor. She's walked the walk right there with us. I guess that's why her books resonate so well with me. When I open one of her books, it's like having an extra school counselor on site, ready to help me tackle the social challenges of teaching. Continue on over to the blog hop at Corkboard Connections to learn more about the other books by Julia Cook. My students have always loved them. I am sure yours will too. First, let's talk about the FREEBIE. I like to keep my students moving and standing as much as possible throughout the day. I am definitely not a "sit-at-your-desk" type of teacher. Engaged children are happy children. Happy children learn more. 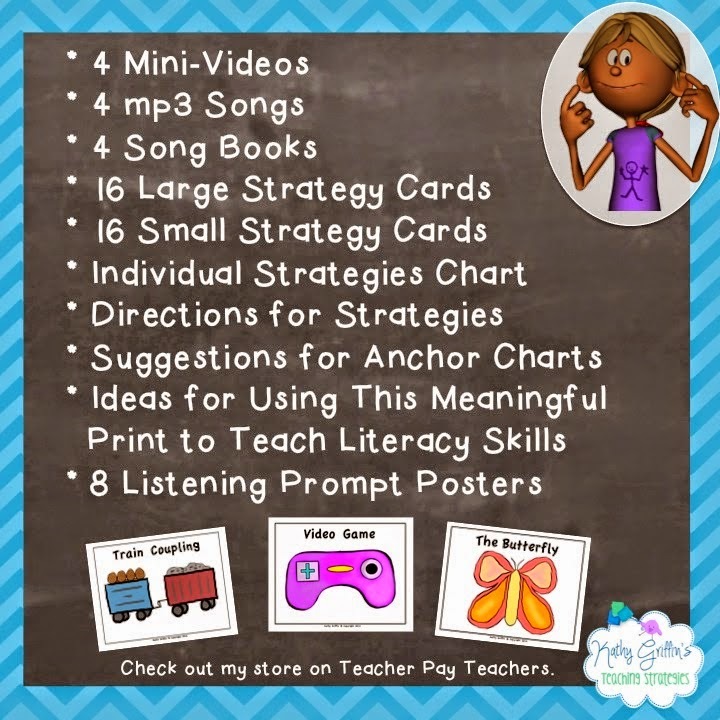 I use pocket charts a lot for literacy centers and hang them on door handles of cabinets and other areas of my room to keep my students moving. So I decided to do the same thing for math. Here is a picture of the center. 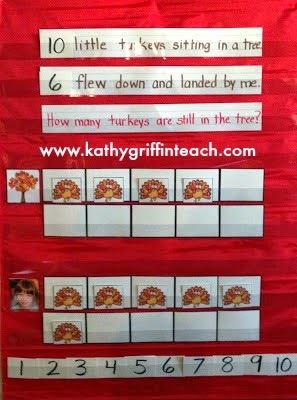 Teach your students the Turkey Poem. 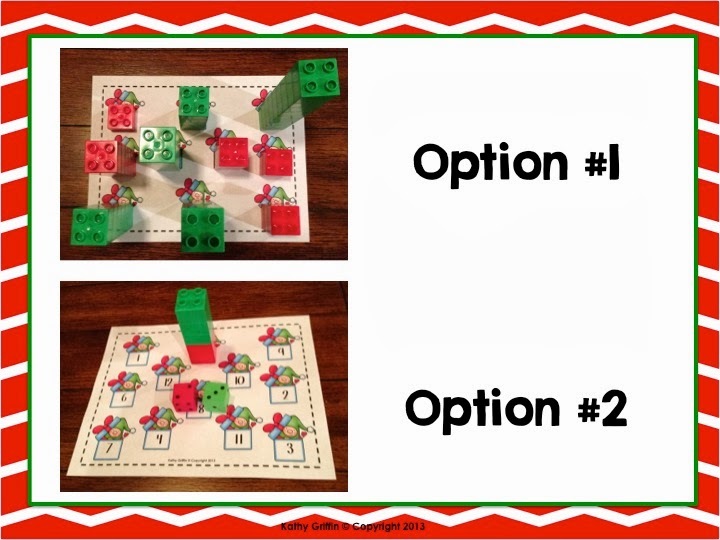 Choose either the 5 Frame Option or the 10 Frame Option, depending on your students' needs. I use the gradual release to teach. 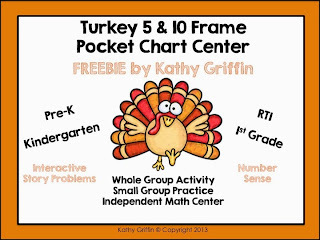 I DO: I model how to use the Turkey 5 or 10 Frame Pocket Chart Activity. WE DO: I call up a student to help me work the problem together modeling along the way. I continue calling up children to practice together and adjust my teaching based on our work together. THEY DO: The pocket chart is then used as a math center to reinforce working with combinations of 5 and 10. 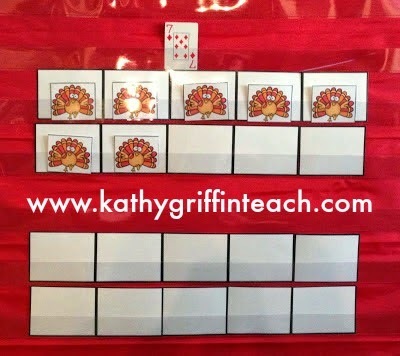 When working on subtraction with a 5 or 10 frame, always begin at the end (right side) of a 5 frame and the end (bottom right side) of a 10 frame to "take away." 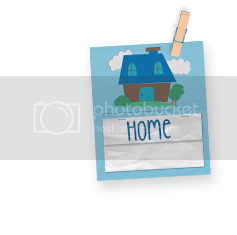 When adding, always begin at the left side (5 frame) and the top left side (10 frame). Practice this process with your students during the "I DO" and the "WE DO" part of your lesson. Want to do more? Use cards to play the game. Draw a card. 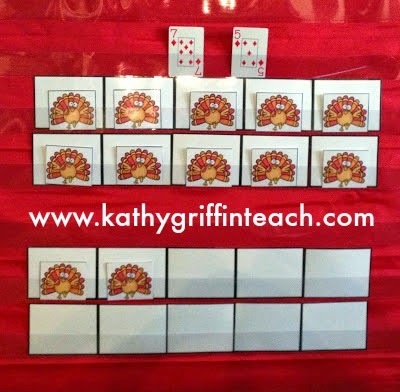 Add the same number of turkeys (7). Draw another card. Place it beside the first. 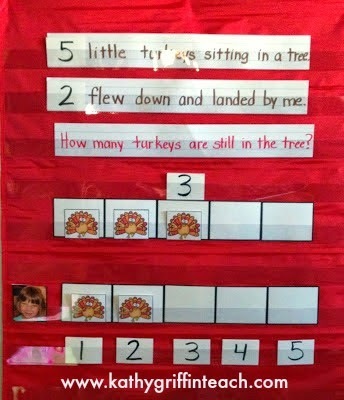 Add the same number of turkeys (5). 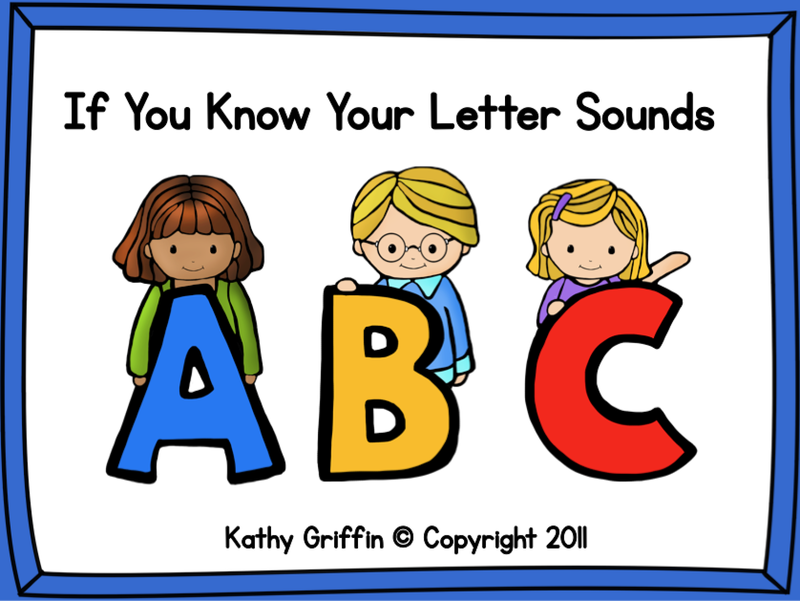 Students can orally say the number sentence or record it in their math journals. 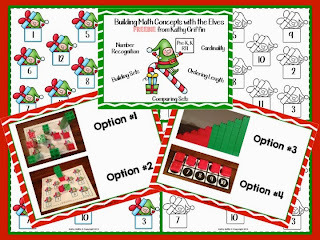 Now start brainstorming about all the different manipulatives that can be used with this math pocket chart. Here is on example that I used around Halloween. 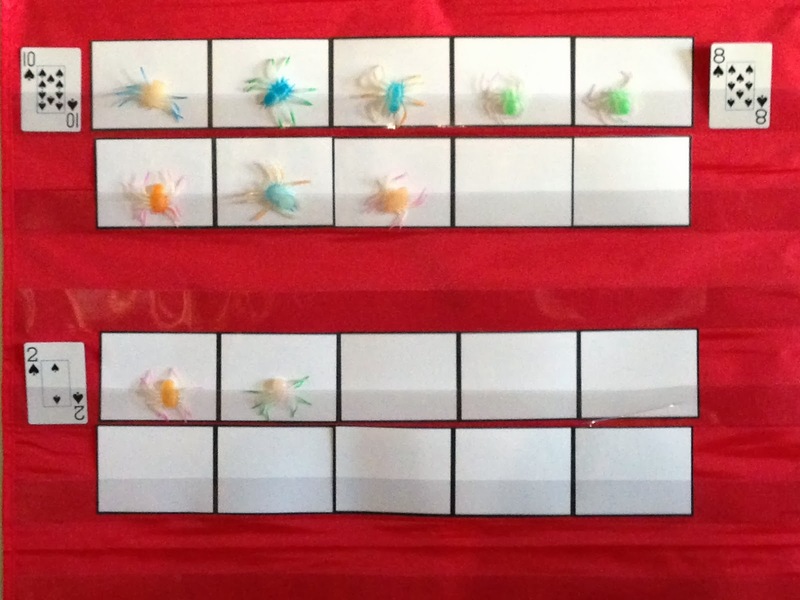 We used the above 10 frame for subtraction using cards. We placed the number 10 card on the left side of the frame. We drew a 2 and placed it on the bottom 10 frame. That was the number we were subtracting from 10. 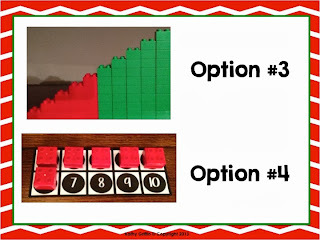 The answer is 8 (top), so we placed an 8 card to represent the number shown. 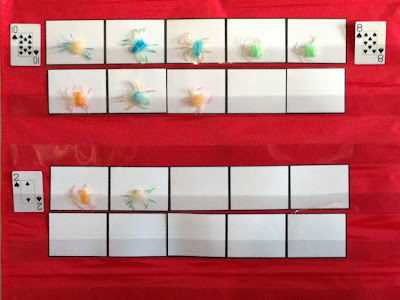 The visual 5 and 10 frames help students "see" the number too. The possibilities are endless! 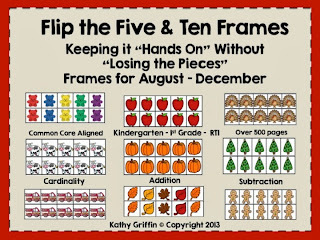 And how many of you have all of those calendar pieces and small notepad shapes just sitting in your drawers waiting to find a purpose in your classroom? I know I have many! You can grab your FREEBIE HERE. 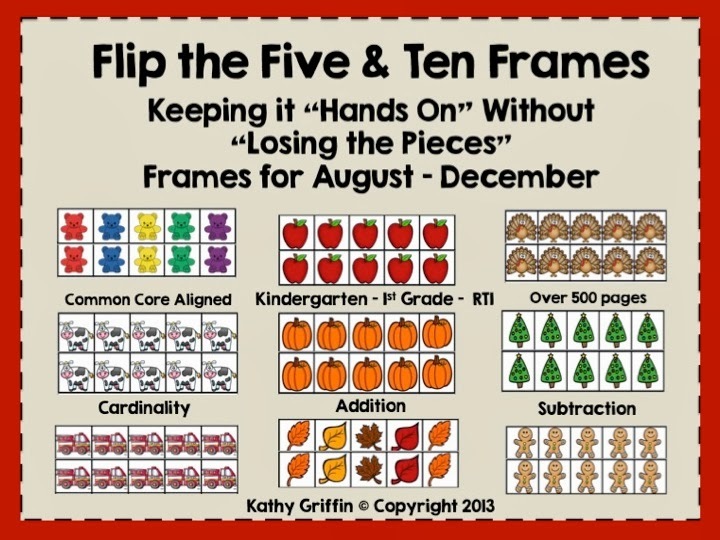 Check out my Flip the Five and Ten Frames Activity Packet. It has 590 pages of math fun. 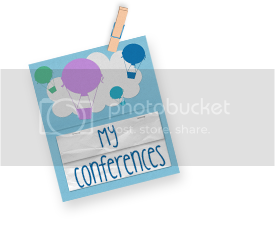 Thanks for visiting my blog and helping me celebrate my new blog design. 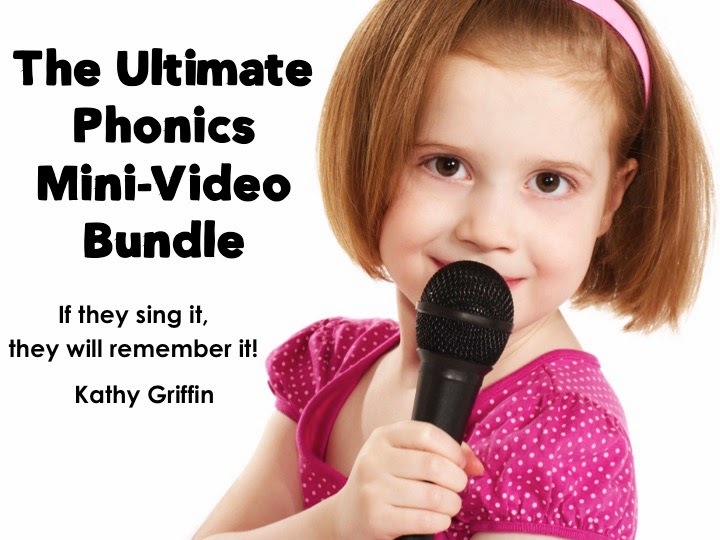 Click HERE to view this teaching packet. 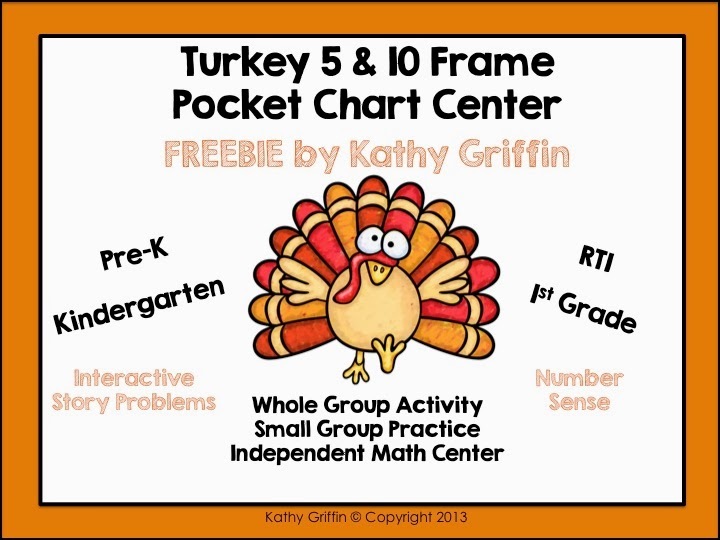 Stop by the Thanksgiving FREEBIE Linky at Tales from Outside the Classroom. 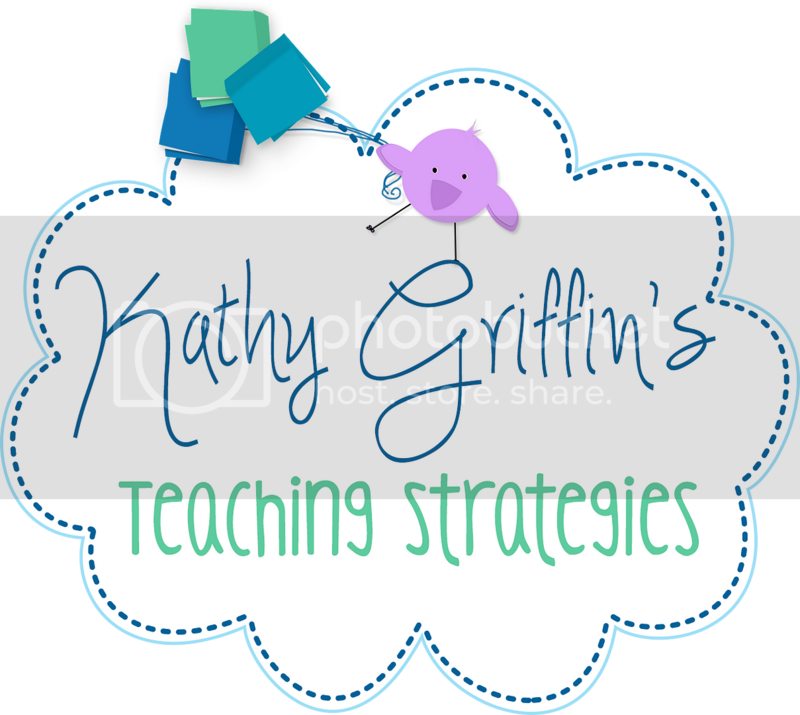 I am SO excited about my new blog design from Michelle at The 3am Teacher. Michelle - The 3am Teacher - YOU ROCK!!! 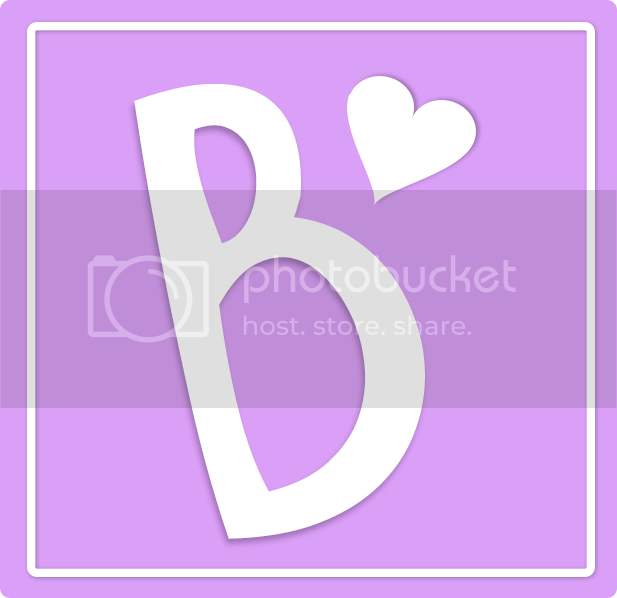 I LOVE MY NEW BLOG!